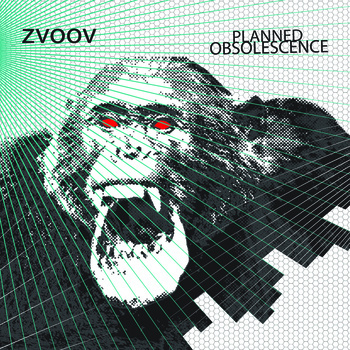 Brooklyn NY based Zvoov have just release Planned Obsolescence, which is their first full length release. They have included three songs from their 2011 EP Everbrown on this release, but they have been reworked and sound much more polished than what was on the EP. So with 7 tracks in total on the full length that makes 4 brand new tracks. The album comes in at just over 50minutes in length. I think this band are learning as they go along, and it shows with this release. They have a math rock sound, but not totally restricted to that genre. They write great music, full of nice melodies and the music is full of twists and turns. The opener Poverty Of Stimulus sets the tone for this release, its interesting from the very first bar of music and this continues through song by song. I played both How Dare You Dare Me and Poverty Of Stimulus on the show, but I would have happily played any of the tracks. So Zvoov have this weeks distinction of being the Fade To Yellow record of the week and it is well deserved with this release. Go check it out for yourself and support the great music from this band. You could call Zvoov math rock, but that would be missing the point. Yes, the instrumental power trio rocks angular riffs and impossible rhythms, but this is not some dispassionate exercise in odd-meter wankery. This is music with feeling, owing as much to Radiohead and Om as to Hella and Don Caballero. Zvoov’s sound veers effortlessly from glimmering, off-kilter melodicism to full-blown sludgy mayhem. The weird time signatures are certainly there, but often woven slyly into a song to create a sense of unease and disquiet within an otherwise accessible piece. Their debut Everbrown EP was self-released in February 2011. This entry was posted on August 1, 2012, 9:49 pm and is filed under Playlists. You can follow any responses to this entry through RSS 2.0. You can leave a response, or trackback from your own site.